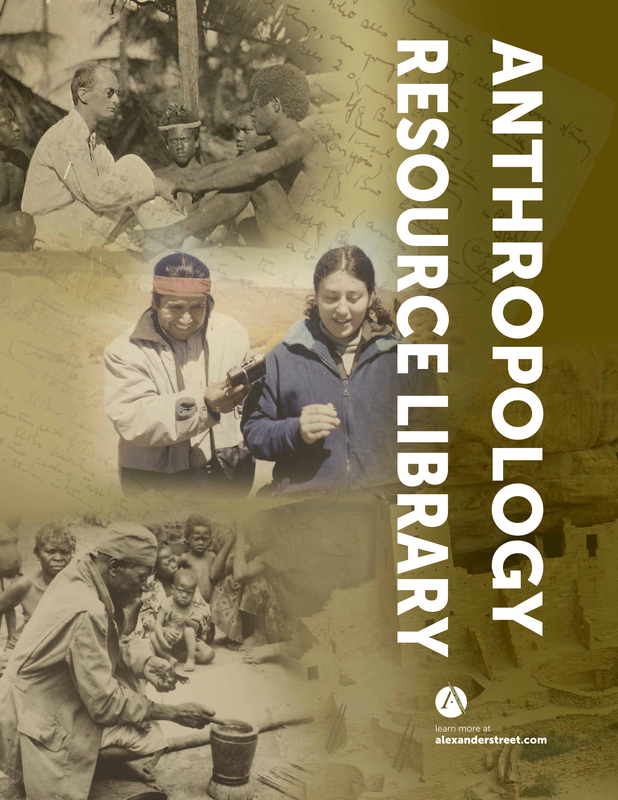 Anthropology Resource Library provides comprehensive, multimedia resources for the study of anthropology, including the largest collection of ethnographic videos and previously unpublished archival field materials. 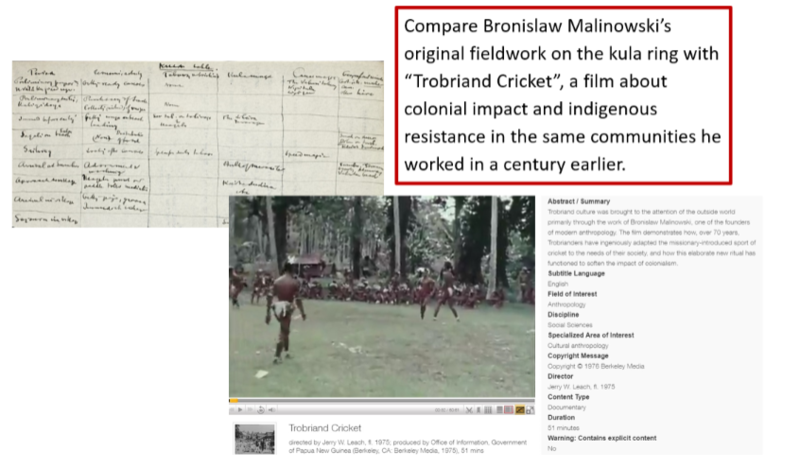 Content is presented on a multimedia platform that reflects the integrated methods of field research, through linking and cross-searchability of text, audiovisual and archival primary sources. The largest collection of ethnographic video documentaries and primary footage—over 1,500 hours, with many rare and exclusive titles from independent production companies and researchers. 100,000+ pages of published monographs, from leading publishers such as Princeton University Press, Oxford University Press, and University of Hawai’i Press. 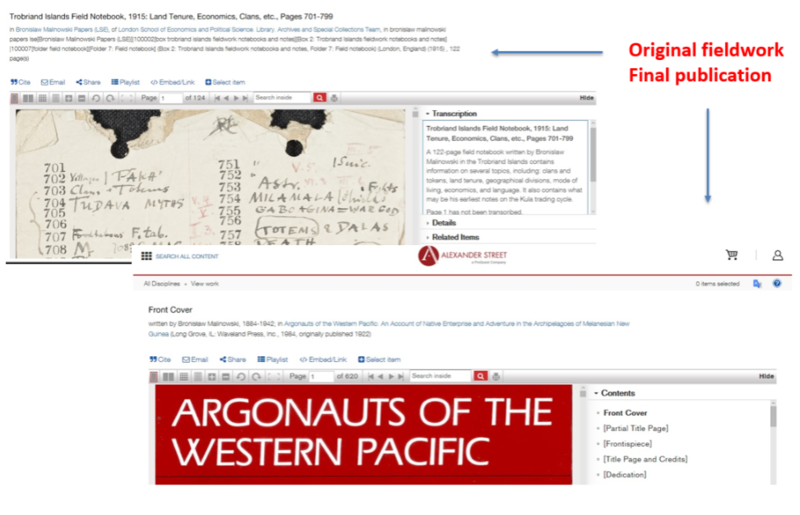 Rare and previously unpublished field research from partners such as the Royal Anthropological Institute, the American Folklife Center at the Library of Congress, and university archives such as the London School of Economics and Vassar College. These resources work together to support teaching and research by cohesively integrating all relevant materials from studies and re-studies and introducing students to longitudinal studies of the same place/ community over a century.